Almost everyone agrees the best thing to do after you finish the first draft is to take a break from the story in order to have a clearer mindset when you come back to the script. But what should I do during that time? The answer to this query obviously depends on the individual, especially ‘where’ s/he is in terms of the drafting process. Start developing a new idea, making the concept ‘bombproof’ before going to draft. HOWEVER – let’s assume Juanma is still developing her idea. What should she do between drafts of a work in progress? If she’s still developing, this means she needs to stay ‘in the zone’ of her current idea. This doesn’t mean Juanma – or you! – can’t write a new project, but writers DO need to try and stay focused on their old ones too. These are the facts. When you’re submitting your screenplay or novel to various places, people WILL ask how yours is different AND similar to stuff that’s already in the public consciousness. It’s no good to shrug and say you haven’t watched or read it, or insist it’s vaguely ‘different’. In short, you have to be able to answer, so you need to see what the competition is. You also need to make sure you’re not rehashing the SAME characters and plotlines the SAME way — that’s a key to languishing in the spec pile FOREVER. It comes down to this: there are always opportunities missed in the drafting process. You need to mull your story over, from various angles, to decide if this has happened to yours. Maybe it hasn’t and that’s cool, but ONLY TIME WILL TELL. So keep track of your thoughts between drafts. Chat to writing friends and associates. Read. Watch movies and TV. Consider your story, carefully and methodically. Good things come to those who WAIT. Really! These are the facts. 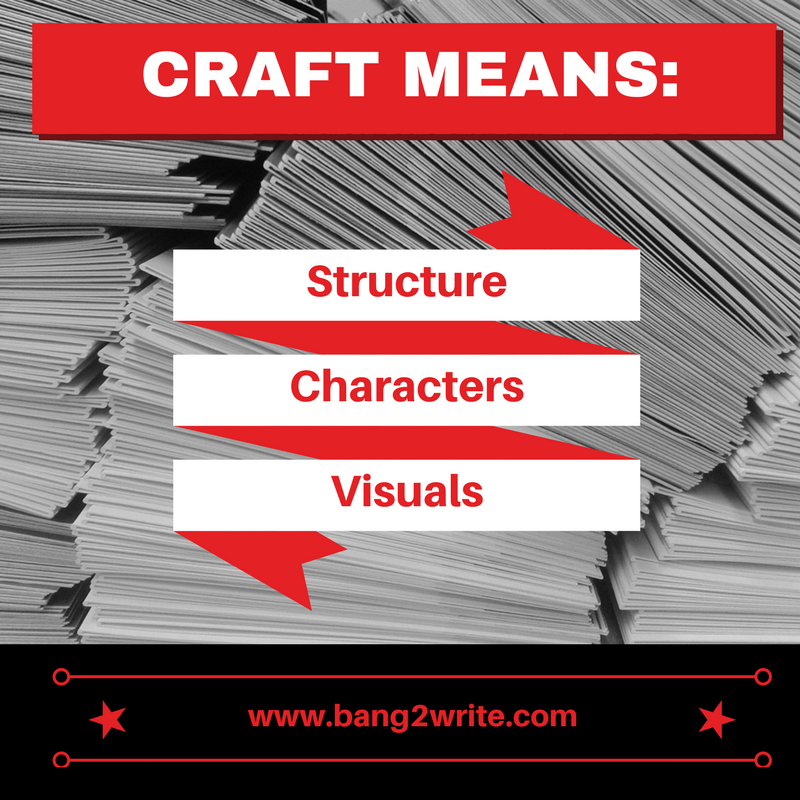 Most writers simply don’t know enough craft. Oh, they might read screenplays; they might read articles and writing books; they may take courses and screenwriting MAs. They talk the talk very well, but ask them to describe how craft works and they’ll freeze up, or babble nonsensically about format or dialogue. From there, you also want to make sure you know your genre conventions; plus how the industry sees drama. Everything else is decoration. Yes, even dialogue! By the way, the above? It’s an ongoing thing. You never STOP learning your craft. Most writers make contacts all wrong; I see it all the time. They try and make contacts when they want something, especially when it comes to referrals or reads for their scripts or novels they’ve just written! But the most powerful contacts are made when you HELP others. This is how you create allies. Having lots of allies means you’re much more likely to get the help you want further down the line. You’re playing the long game! So, think about how you can help others. Last year I decided I was going to be a crime fiction author. My first act? Starting a new book blog and spotlighting my fellow crime fiction authors. I was welcomed into the community with open arms. Oh, and I did all this while I was working on my drafts of my novel, The Other Twin (out now via Orenda Books, by the way). What’s not to like?? Interestingly, writers seem to be addicted to feedback in this day and age, so make sure your using yours effectively. There are lots of feedback mistakes to be made, both in terms of giving it and receiving it! (Oooh matron). By the way, if yours is a ‘first-first’ draft, I don’t recommend sending to strangers. Get feedback from trusted beta readers and peer reviewers of desired, but not too many though for a first draft, 3 maximum. That’s right – zilch. Literally shove it in a virtual folder on the digital back burner. Come back to writing another time. Sometimes taking a break is the best thing you can do! Just make sure this is not your default position otherwise you really will get nowheresville, fast. 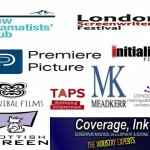 Check out my course, in conjunction with Londonswf! Check out all the details HERE, including pix from previous courses and delegate feedback. If you want to be a script reader yourself, or learn how your script gets assessed ‘behind the scenes’, then this course is FOR YOU. Getting feedback is a big one for me. I just finished the first round of my own self-edits for my novella and I’m submitting chapter by chapter to my critique group and getting feedback from them. The biggest thing I do, though, in between drafts of one book is start another :-). I also tend to do small side projects: bank blog posts, reach out to others for reviews or guest post slots to line up with sales or new releases, pick a completely unrelated short project to distract myself with (like writing a short story for an anthology), etc. Excellent additions. I write lots of blog posts in bulk too. Write something else! While I truly love the idea of #7, there’s something to be said for keeping up the daily regime. I suppose it’s a bit like cross-training; if you slouch on your couch you might never get back into a routine. But if you take a break from that romantic comedy and write a treatment for a short horror flick, it’ll keep your synapses twitching and might give you more material for when you do get back into the other project.